Stacey Dooley, 33, met Kevin Clifton, 36, on Strictly Come Dancing last year, going on to win the BBC show with the Grimsby-boron dancer. In an explosive interview, her ex-boyfriend Sam Tucknott, 30, has since revealed the pair have now sparked a romance since he and the presenter called time on their relationship. Sam admitted he was “gutted” by the events which have occurred between him and his former love. “I am so respectful of her, but I am gutted and I am disappointed and I feel so let down that she did not have the respect for me to tell me and just come clean,” he told the Mail on Sunday. Sam told the publication he had developed a good friendship with Kevin in the early days of Stacey’s Strictly journey, but claimed, as time went on, the dancer stopped replying to his messages. He said the first moment he was suspicious of the bond between his then-girlfriend and the dancer was when he was cuddling with her in bed and she received a text from him. “I noted it but at the same time I didn’t want to bring it up with Stacey,” he admitted. “I didn’t want to rock the boat. I didn’t want her feeling awkward. After Strictly Come Dancing came to an end, Sam said he felt “something was up” with Stacey over the festive period. Kevin subsequently embarked on the Rock of Ages Musical, in which he was set to star as Stacee Jaxx. Sam recalled the moment he first confronted Stacey with his concerns about her relationship with Kevin after finding a receipt for cupcakes sent to Glasgow, where the dancer was set to perform at the Rock of Ages opening night. “I said, ‘Look, I’m sure that he fancies you. I think I can tell that by the way he acts and the way he is. Sam said his then girlfriend told him she and Kevin were just friends and the gift was to wish him luck on the launch night. He went on to explain how his relationship with his girlfriend continued to decline until they decided to split. At their last meeting, he claimed he saw a text from Kevin, which confirmed they were having a romance, light up her phone. In contrast to Stacey, whom Sam said he still has respect for because of the love he had for her, he said he holds “no respect whatsoever” for Kevin in light of what happened. “Adults make their own choices. I just know that he is a slippery snake – a proper rat,” he told the publication. 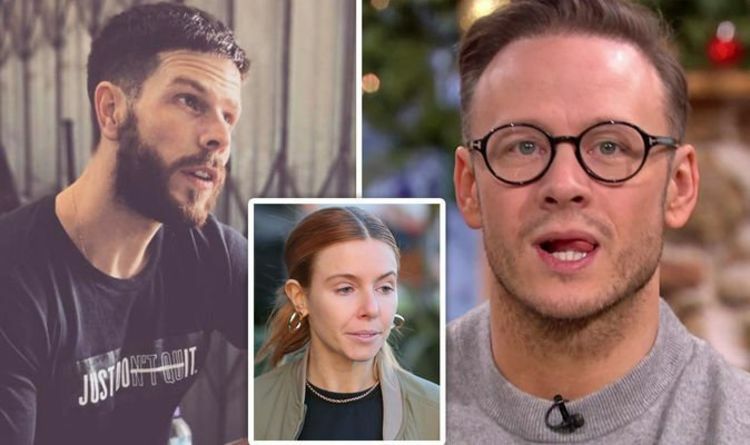 Express.co.uk has contacted representatives for Stacey Dooley and Kevin Clifton asking for comment.